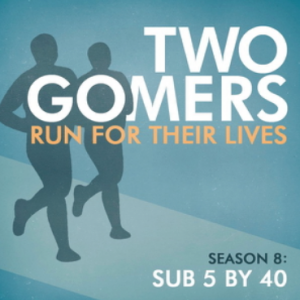 2011 really snuck up on the Gomers, and they are both realizing that their half-marathons are closer than they thought. But that doesn’t mean they won’t take the time to do some Christmas in Review (specifically what they GOT for Christmas), discuss New Years’ Resolutions from the Gomernation, and review G1’s upcoming race. And, you know, like, read some reviews. See you next week, Happy Running! That review just made me laugh out loud! I’ve been catching up on your podcasts (training to run my first half! ), and find myself constantly referring to my friends and family as “dude”!